manufacturer, stockholder, suppliers and exporter of I Beam Cold Drawn Bright Bar of AISI 316, AISI 316L, AISI 321, AISI 321H &AISI 346. What is I Beam Cold Drawn Bright Bar? I Beam Cold Drawn Bright Bar suppliers and manufacturer as per ASTM A276 304, 304l, 316, 321H, 304L, 430F Grade. We are engaged in supplying premium quality of I Beam Cold Drawn Bright Bar that is manufactured using high grade of raw materials. These I Beam Cold Drawn Bright Bar products meet the international standard of UC, JIS, IPE, IPEAA and UB. Our products are used as a frame of heavy construction that makes them to serve our clients for longer period. Being an expert in manufacturer, suppliers and stockists I Beam Cold Drawn Bright Bar. Ensure the best quality, which is in compliance with international quality standards as our in-house manufacturer I Beam Cold Drawn Bright Bar unit is equipped with advanced machinery to check the quality. The primary feature of this I Beam Cold Drawn Bright Bar is it has very longer service life duration with operational convenience and safety. We are an ISO 9001:2008 registered company, and have been recognized as one of the world’s leading stockists and manufacturer of quality metals for over two decades and are committed to quick responses, unsurpassed quality, competitive pricing, reliable deliveries and an exhaustive inventory. 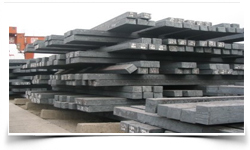 Super metal manufacturing co. is a global steel bar distributor and processor carrying a wide range of I Beam Cold Drawn Bright Bar for your use. 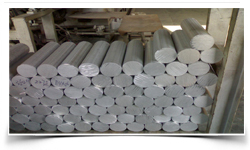 Super metal manufacturing co. is a leading manufacturer of I Beam Cold Drawn Bright Bar and many other products. Our streamline manufacturing process is in compliance with the international quality standards that help us to retain our position as one of the top notched I Beam Cold Drawn Bright Bar exporters. With over years of experience in manufacturer, suppliers and stockists our products.As a result to that our export account today is in various countries like Saudi Arabia, Oman, Turkey, Kazakhstan, Greece, Thailand, Indonesia, Vietnam, South Africa, and Egypt. “We Welcome Your Queries..!!“. What is I Beam Cold Drawn Bright Bar ? I Beams are line structured that carry load primarily in bending. Beams are characterized by their profile, their length, and their material. They are of good quality and available at market leading rates.We manufacturer of I Beam Cold Drawn Bright Bar as per drawing/sample of customer I-section steel strips normally uses in generators. We can manufacture I-sections in coil as well as in straight length up to 2mtr as per requirement of customer. We provide this range at cost effectiveness prices.Bright Bars are of 2 types-1. Cold Drawn and Peeled 2. Turned.In a Cold Drawn Bright Bar the Hot Rolled Bars are pickled and drawn through a Tungsten Carbide Die as Cold Rolled, no heating is required, that is why it is called a Cold Drawn Bright Bar.Secondly in Peeled / Turned Bright Bar the Hot Rolled Bar is fed into a Turning machine and the surface is turned / removed to the required size of the Dia. This is also a Cold process, no heating is required. Bright Bars can be further Ground Finished for special applications. 304L 0.030 2.00 1.00 18.0 – 20.0 8.0 – 11.0 - - Good resistance to intergranular corrosion for heavy section welding and high temperature applications. 316 0.080 2.00 1.00 16.0 – 18.0 10.0 – 14.0 2.0 – 3.0 Higher resistance than 304 to general corrosion and pitting. 316L 0.030 2.00 1.00 16.0 – 18.0 10.0 – 14.0 2.0 – 3.0 Good resistance to intergranular corrosion for heavy section welding and high temperature applications. Ti5x(C+N)- 0.70 Titanium stabilished 18/8 steel for high temperature applications. 321 0.080 2.00 1.00 17.0 – 19.0 9.0 – 12.0 Titanium stabilished grade resists intergranular corrosion For high temperature application. 430 0.12 1.00 1.00 16.0 – 18.0 - - - Good combination of corrosion resistance and formability Non hardnable, used for cold headed fasteners. 410 0.15 1.00 1.00 11.5 – 13.5 - - - Hardneble to achieve best strength and corrision resistance. 416 0.15 1.25 1.00 12.0 – 14.0 - - S 0.15 min Free machining hardenable grade. orrosion resistance not as good as for 410. 420 0.16 – 0.25 1.00 1.00 15.0 – 17.0 - - - Higher carbon content than 410 gives higher hardness for cutlery knife blades, dies and surgical instruments. Also used for pump shaft. 431 0.20 1.00 1.00 15.0 – 17.0 1.25 – 2.50 High Strength, excellent toughness and corrision resistance similar to that of 304. Used pump shafts, bolts and valve components. 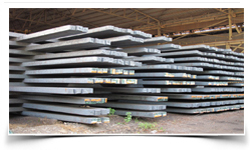 Super Metal Manufacturing Co. is an independent producer of I Beam Cold Drawn Bright Bar based in India, manufacturing cold drawn steel in freecutting, specifications in accordance to BS EN ISO 9001:2008 . Our wearhouse of I Beam Cold Drawn Bright Bar 6 locations throughout India, area include approximately 750,000 square feet of production and warehouse space on forty acres of land. We also stock I Beam Cold Drawn Bright Bar at warehouses around the country, which allows us to ship and deliver the same day, to manufacturer, suppliers and stockists service centers throughout the Saudi Arabia, Kuwait, Qatar, Oman, Yemen, UAE, Iran, Turkey, Kazakhstan, Malaysia, Singapore, Thailand, Indonesia, Veitnam, Taiwan, Chile, Poland, Norway, Egypt.We are the one of the biggest I Beam Cold Drawn Bright Bar manufacturer, stockists and suppliers in worldwide.The company is quite customer-friendly and available for consumer support 24*7. Customers can instantly solve any product or service related queries by contacting us via phone, email or by visiting our office. » I Beam Cold Drawn Bright Bar uses in also used for other industrial purpose etc. Bulk buy and get 10% discounts on I Beam Cold Drawn Bright Bar | Find the best I Beam Cold Drawn Bright Bar deals Here, Here you will get a perfect opportunity in following country and city. Country ListingIndiaUnited StatesUnited Arab EmiratesCanadaPakistanPeruChileSpainFranceUnited KingdomIndonesiaIsraelIranKuwaitMexicoMalaysiaNigeriaSerbiaSingaporeTaiwanChileVenezuelaEcuadorSaudi ArabiaNetherlandsBrazilColombiaGhanaIranDenmarkPolandAustraliaAfghanistanBahrainCosta RicaEgyptIraqJordanSouth KoreaKazakhstanSri LankaLithuaniaNorwayOmanPhilippinesPolandQatarRussiaVietnamSouth AfricaNigeriaMexicoTurkeyHungaryAlgeriaAngolaArgentinaAustriaAzerbaijanBangladeshBelarusBelgiumBhutanBoliviaBulgariaCroatiaCzech RepublicEstoniaFinlandGreeceItalyJapanLibyaRomaniaThailandTrinidad & TobagoTunisiaUkraineYemenHong KongGabonChinaPortugalSwitzerlandNew ZealandSwedenSlovakiaKenyaLebanonMoroccoMongoliaBulgariaCroatiaCzech RepublicEstoniaFinlandGreeceItalyJapanLibyaRomaniaThailandTrinidad & TobagoTunisiaUkraineYemenHong KongGabonChinaPortugalSwitzerlandNew ZealandSwedenSlovakiaKenyaLebanonMoroccoMongoliaIndiaUnited StatesUnited Arab EmiratesCanadaPakistanPeruChileSpainFranceUnited KingdomIndonesiaIsraelIranKuwaitMexicoMalaysiaNigeriaSerbiaSingaporeTaiwanChileVenezuelaEcuadorSaudi ArabiaNetherlandsBrazilColombiaGhanaIranDenmarkPolandAustraliaAfghanistanBahrainCosta RicaEgyptIraqJordanSouth KoreaKazakhstanSri LankaLithuaniaNorwayOmanPhilippinesPolandQatarRussiaVietnamSouth AfricaNigeriaMexicoTurkeyHungaryAlgeriaAngolaArgentinaAustriaAzerbaijanBangladeshBelarusBelgiumBhutanBoliviaBulgariaCroatiaCzech RepublicEstoniaFinlandGreeceItalyJapanLibyaRomaniaThailandTrinidad & TobagoTunisiaUkraineYemenHong KongGabonChinaPortugalSwitzerlandNew ZealandSwedenSlovakiaKenyaLebanonMoroccoMongoliaBulgariaCroatiaCzech RepublicEstoniaFinlandGreeceItalyJapanLibyaRomaniaThailandTrinidad & TobagoTunisiaUkraineYemenHong KongGabonChinaPortugalSwitzerlandNew ZealandSwedenSlovakiaKenyaLebanonMoroccoMongolia City ListingMumbaiBengaluruChennaiNew DelhiPimpri-ChinchwadHoustonDubaiSeoulHyderabadSingaporeAbu DhabiPuneKolkataGurgaonNavi MumbaiAhmedabadTehranCalgaryNoidaRiyadhVadodaraLondonCoimbatoreJakartaIstanbulBangkokKuwait CityThaneSharjahMuscatEdmontonBusanMexico CityDohaJeddahAberdeenCairoGeoje-siPerthSantiagoChandigarhIndoreKuala LumpurRio de JaneiroDammamMelbourneMadridSuratBhopalUlsanFaridabadLa VictoriaBogotaLahoreLos AngelesAlgiersChiyodaAnkaraHo Chi Minh CityTorontoHong KongRajkotBrisbanePetaling JayaErnakulamSecunderabadGimhae-siAl JubailPort-of-SpainThiruvananthapuramMilanAtyrauLagosHanoiHowrahSydneyAhvazKarachiNew YorkCaracasVung TauAl Khobar Stockists in ColombiaManamaMontrealGranadaCourbevoieVisakhapatnamLudhianaMoscowDallasColomboTorontoHong KongRajkotBrisbanePetaling JayaErnakulamSecunderabadGimhae-siAl JubailPort-of-SpainThiruvananthapuramMilanAtyrauLagosHanoiHowrahSydneyAhvazKarachiNew YorkCaracasVung TauAl Khobar Stockists in ColombiaManamaMontrealGranadaCourbevoieVisakhapatnamLudhianaMoscowDallasColomboMumbaiBengaluruChennaiNew DelhiPimpri-ChinchwadHoustonDubaiSeoulHyderabadSingaporeAbu DhabiPuneKolkataGurgaonNavi MumbaiAhmedabadTehranCalgaryNoidaRiyadhVadodaraLondonCoimbatoreJakartaIstanbulBangkokKuwait CityThaneSharjahMuscatEdmontonBusanMexico CityDohaJeddahAberdeenCairoGeoje-siPerthSantiagoChandigarhIndoreKuala LumpurRio de JaneiroDammamMelbourneMadridSuratBhopalUlsanFaridabadLa VictoriaBogotaLahoreLos AngelesAlgiersChiyodaAnkaraHo Chi Minh CityTorontoHong KongRajkotBrisbanePetaling JayaErnakulamSecunderabadGimhae-siAl JubailPort-of-SpainThiruvananthapuramMilanAtyrauLagosHanoiHowrahSydneyAhvazKarachiNew YorkCaracasVung TauAl Khobar Stockists in ColombiaManamaMontrealGranadaCourbevoieVisakhapatnamLudhianaMoscowDallasColomboTorontoHong KongRajkotBrisbanePetaling JayaErnakulamSecunderabadGimhae-siAl JubailPort-of-SpainThiruvananthapuramMilanAtyrauLagosHanoiHowrahSydneyAhvazKarachiNew YorkCaracasVung TauAl Khobar Stockists in ColombiaManamaMontrealGranadaCourbevoieVisakhapatnamLudhianaMoscowDallasColombo Country ListingIndiaUnited StatesUnited Arab EmiratesCanadaPakistanPeruChileSpainFranceUnited KingdomIndonesiaIsraelIranKuwaitMexicoMalaysiaNigeriaSerbiaSingaporeTaiwanChileVenezuelaEcuadorSaudi ArabiaNetherlandsBrazilColombiaGhanaIranDenmarkPolandAustraliaAfghanistanBahrainCosta RicaEgyptIraqJordanSouth KoreaKazakhstanSri LankaLithuaniaNorwayOmanPhilippinesPolandQatarRussiaVietnamSouth AfricaNigeriaMexicoTurkeyHungaryAlgeriaAngolaArgentinaAustriaAzerbaijanBangladeshBelarusBelgiumBhutanBoliviaBulgariaCroatiaCzech RepublicEstoniaFinlandGreeceItalyJapanLibyaRomaniaThailandTrinidad & TobagoTunisiaUkraineYemenHong KongGabonChinaPortugalSwitzerlandNew ZealandSwedenSlovakiaKenyaLebanonMoroccoMongoliaBulgariaCroatiaCzech RepublicEstoniaFinlandGreeceItalyJapanLibyaRomaniaThailandTrinidad & TobagoTunisiaUkraineYemenHong KongGabonChinaPortugalSwitzerlandNew ZealandSwedenSlovakiaKenyaLebanonMoroccoMongolia City ListingMumbaiBengaluruChennaiNew DelhiPimpri-ChinchwadHoustonDubaiSeoulHyderabadSingaporeAbu DhabiPuneKolkataGurgaonNavi MumbaiAhmedabadTehranCalgaryNoidaRiyadhVadodaraLondonCoimbatoreJakartaIstanbulBangkokKuwait CityThaneSharjahMuscatEdmontonBusanMexico CityDohaJeddahAberdeenCairoGeoje-siPerthSantiagoChandigarhIndoreKuala LumpurRio de JaneiroDammamMelbourneMadridSuratBhopalUlsanFaridabadLa VictoriaBogotaLahoreLos AngelesAlgiersChiyodaAnkaraHo Chi Minh CityTorontoHong KongRajkotBrisbanePetaling JayaErnakulamSecunderabadGimhae-siAl JubailPort-of-SpainThiruvananthapuramMilanAtyrauLagosHanoiHowrahSydneyAhvazKarachiNew YorkCaracasVung TauAl Khobar Stockists in ColombiaManamaMontrealGranadaCourbevoieVisakhapatnamLudhianaMoscowDallasColomboTorontoHong KongRajkotBrisbanePetaling JayaErnakulamSecunderabadGimhae-siAl JubailPort-of-SpainThiruvananthapuramMilanAtyrauLagosHanoiHowrahSydneyAhvazKarachiNew YorkCaracasVung TauAl Khobar Stockists in ColombiaManamaMontrealGranadaCourbevoieVisakhapatnamLudhianaMoscowDallasColombo . Super metal manufacturing co. is Manufacturer, Stockists & Suppliers of premium quality range of I Beam Cold Drawn Bright Bar that are manufactured under the expert guidance of our diligent workforce.we are 50 years experienced company in I Beam Cold Drawn Bright Bar .our I Beam Cold Drawn Bright Bar & other products are manufactured using quality material and go through a rigorous quality check at all stages of production to ensure quality. Designed in compliance with international quality standards, these I Beam Cold Drawn Bright Bar are corrosion resistance, sturdy and durable.we also supply I Beam Cold Drawn Bright Bar in customized size. We have I Beam Cold Drawn Bright Bar available in our stock we can provide you I Beam Cold Drawn Bright Bar as per your requirement on immediate bases coz we have our stockyard in india,UAE, Iran, Turkey, Egypt, Thailand, Indonesia, Vietnam, Mexico, Italy, Europe, Brazil, Chile, Venezuela etc. we keep I Beam Cold Drawn Bright Bar in our stock for 365 days to serve our clients on immediate bases. 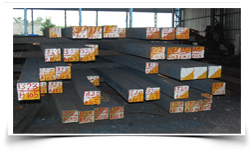 we also provide our I Beam Cold Drawn Bright Bar in small quantity, cut & sizes. Our ready stock of I Beam Cold Drawn Bright Bar is also available in top countries such as Saudi Arabia, UAE, Iran, Turkey, Egypt, Thailand, Indonesia, Vietnam, Mexico, Italy, Europe, Brazil, Chile, Venezuela, who can help you to buy I Beam Cold Drawn Bright Bar and joints and can provide you all the information as per your requirements.We are Experts in exporting I Beam Cold Drawn Bright Bar to over 45 countries including UAE, UK, Iran, Iraq, Qatar, Bahrain, Oman, Yemen, Lebanon, Jordan, Saudi Arabia, Malaysia, Indonesia, Singapore, Australia, New Zealand, USA, Canada, Mexico, Brazi, Netherlands, Germany, Italy, Spain, Serbia, Kuwait, Peru, Nigeria, Poland, South Africa, Denmark, Turkey, Egypt, Venezuela, Kuwait, Madagascar, Angloa & Srilanka & are major Olet Fittings Suppliers in Saudi Arabia etc. I Beam Cold Drawn Bright Bar are commonly used in parts of gas turbine engines that are subject to high temperatures and require high strength, excellent high temperature creep resistance, fatigue life, phase stability, and oxidation and corrosion resistance. Read about I Beam Cold Drawn Bright Bar. We can supply I Beam Cold Drawn Bright Bar similar to BGH-Germany, Viraj Profiles Limited (VPL)-India, Mukand Infinite Resoive-India, And Special Steel Group of Companies-UK quality.